Calling all Qualified Childcare Professionals: do you have an NNEB, Childcare Degree, NVQ Level three or equivalent? Are you looking to join a passionate and dedicated team of childcare practitioners? 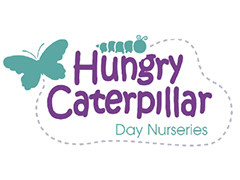 Then Hungry Caterpillars Day Nurseries should be your next professional step. We are a dedicated, hands on family led childcare provider, who believes in offering all our staff a positive environment in which they can grow and develop. the ability to demonstrate supervisory skills that will ensure the smooth running and implementation of high quality childcare within the room. The ability to effectively lead your team to promote a positive and enabling child centred environment. Competitive salary in line with qualifications and experience. Hungry Caterpillars opened in January 1999 in answer to Olivia Foley, the founders, own childcare needs and the inability to find high-quality child care in the local area. Developing an excellent local reputation the group has since expanded across West London into Ealing, Hillingdon, Buckinghamshire & Harrow. Hungry Caterpillars remains a family-run business that responds and develops services to meet the needs of families that it serves. We realise that it is vital that we earn the trust and confidence of you, the parent, and that you are happy with what we do and how we do it. Working together we can produce happy, confident children who thrive and have every opportunity to reach their full potential. Your child is the most important person in the world to you. They deserve to be encouraged, nurtured, supported and loved every step of the way. At Hungry Caterpillars we constantly ask ourselves “would we want this for our own children or family members?” It’s a great question that guides our practitioners, managers and senior team and ensures your child is at the centre of all that we do. At Hungry Caterpillars we believe that allowing children access to good quality pre-school education enhances their future life chances. It is a belief that is backed up by research and as such we genuinely want our nurseries to be the best and we want your child’s nursery experience to be a positive, meaningful and above all fun. In addition, we recognise that each child is an individual with their own specific needs. Our staff tailor each child’s care and learning plan to their individual requirements and create an environment that celebrates all that makes them a special individual. We carefully recruit all of our staff to ensure they have the right qualifications and qualities to be a Hungry Caterpillar team member. Rigorous vetting procedures, follow up on references and a full police check ensures that all staff are completely fit for this important role. In addition, we offer all of our team on-going training, a great range of benefits, in-house and industry recognition and the opportunity to progress within the company. Our philosophy is happy staff make a happy nursery.